Recently, I received tons of products from various brands under the company, Kosé Cosmeport. 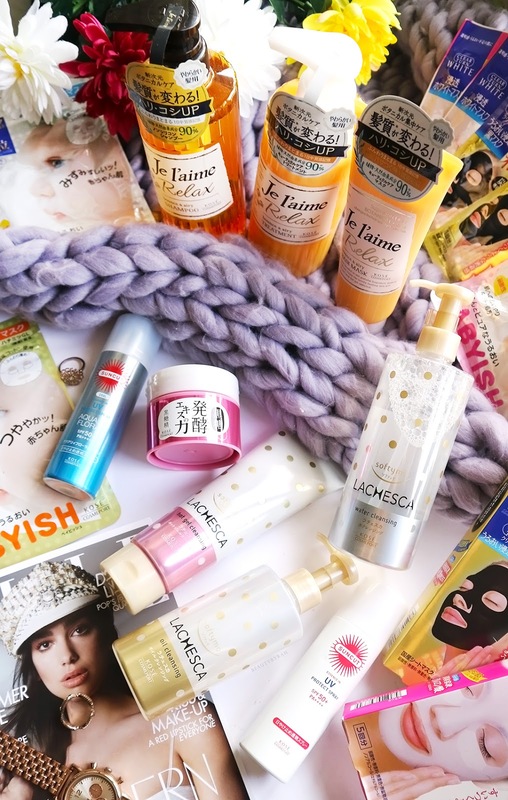 Kosé is a Japanese company that has tons of sub brands (you can find all of them here) under their belt and seeing these items gets me pretty excited as I rarely do venture into the world of Jbeauty. These was a myriad of items in the bag, but the products were mainly from the brands: Je l'aime, Kokutousei, Clear Turn, Suncut and Softymo. These items cover the range of hair care, skin care and sun care items, so all our daily needs are pretty much covered. There are tons of items of let's just dive in, shall we. 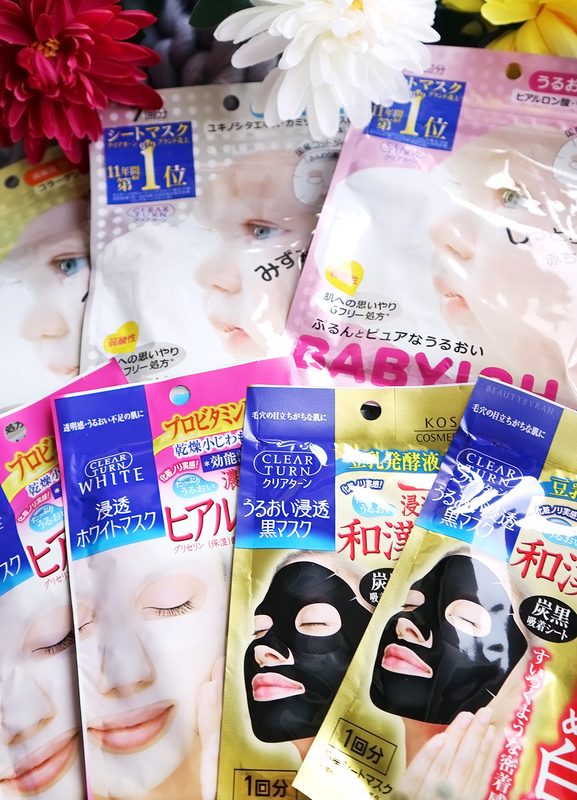 As someone who loves to use sheet masks as a self care pampering must-have, I was glad to receive a few to try from the brand Clear Turn. I received three ranges from them to try - Babyish (which claims to help provide intense hydration to help us achieve that plump, hydrated skin that babies are so blessed with) and White Mask (which contains hyaluronic acid and Pro vitamin B5GL to provide hydration and whitening to the skin) and Black Mask (which contains Japanese medical herb extract in a charcoal black absorbent sheet to help tighten and whiten the skin). I have tried the black mask so far and quite like it. The sheet fitted well on my face and I like how the mask isn't dripping wet so I don't get those pesky drips all over my shirt. My skin feels hydrated and looks slightly glowy after use. 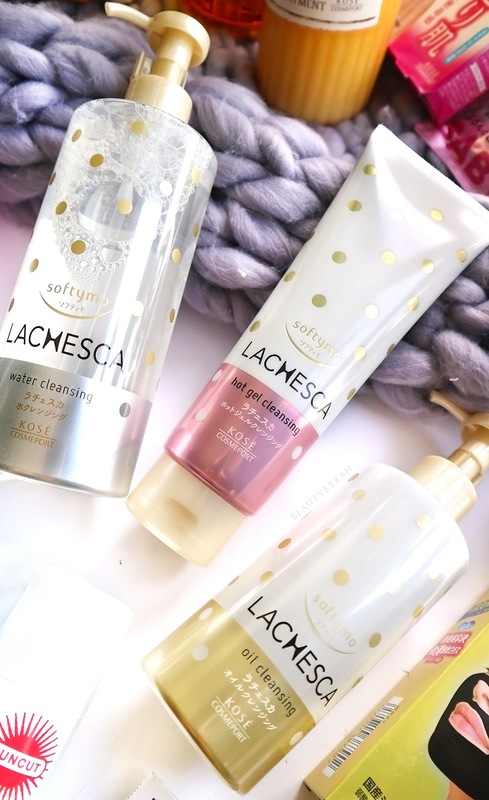 I also received quite a few items from the brand Softymo - their Lachesca hot gel cleanser, Lachesca water cleasing (micellar water) and Lachesca Oil Cleansing. I have been using and am loving the hot gel cleanser so far as it is extremely soothing to use. This gel warms up upon application to the skin and I'm assuming that the heat produced could aid in the opening of pores to cleanse any impurities. My skin feels clean and awaken after use, without the squeaky clean feel where tons of moisture have been stripped from the skin. I have not tried the micellar water nor the oil cleanser yet, but I do like that they come with a pump for easy dispensing. There is also the Kokutousei Hydrating Elastic Gel which is claims to provide equal effects of applying 6 different products - toner, serum, light moisturiser, moisturiser, face mask and massage lotion. While I am skeptical about all in one items, this works nicely as a moisturiser. This gel contains double hyaluronic acid, Lipidure (an ingredient that helps plump the skin due to its hydrating properties), double collagen and tree peony extract. It has a unique texture, as the gel would go back to its original shape even after you dip your fingers in! 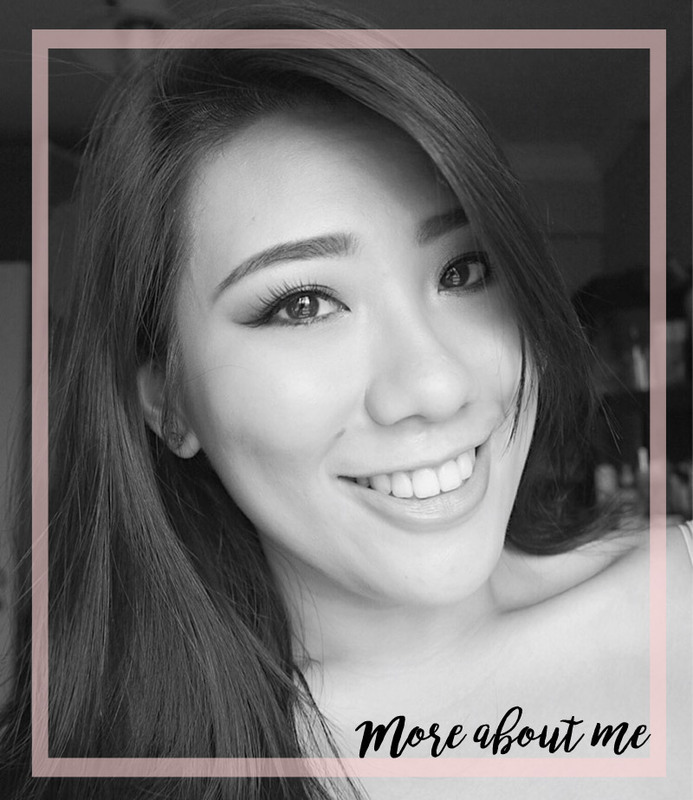 On the skin, it hydrates my skin nicely and my skin doesn't feel tight throughout the day. There isn't any strong overwhelming fragrance to it and since it is a gel, it is very lightweight and gets absorbed into the skin almost immediately, which is great especially for our humid weather! Suncut UV Protect Spray was extremely handy dandy when I was travelling. These sunscreens sprays are SPF 50+ PA++++, providing good enough coverage for daily use. I brought the regular white one with me to Phuket (read more about my experience here), and it worked really well in protecting me from getting burnt, despite me blatantly splaying my body on the beach almost everyday. I also love how this can be used on the face and works well in topping up the sun protection even if you have makeup on or just pure lazy to reapply like me. There also isn't any white cast left on the skin after application which is a bonus. Definitely something to check out if you're on the hunt for a facial sunscreen or one for the travelling! Lastly, there is the Je L'aime Relax Bounce & Airy Hair range, with the shampoo, treatment and hair mask. 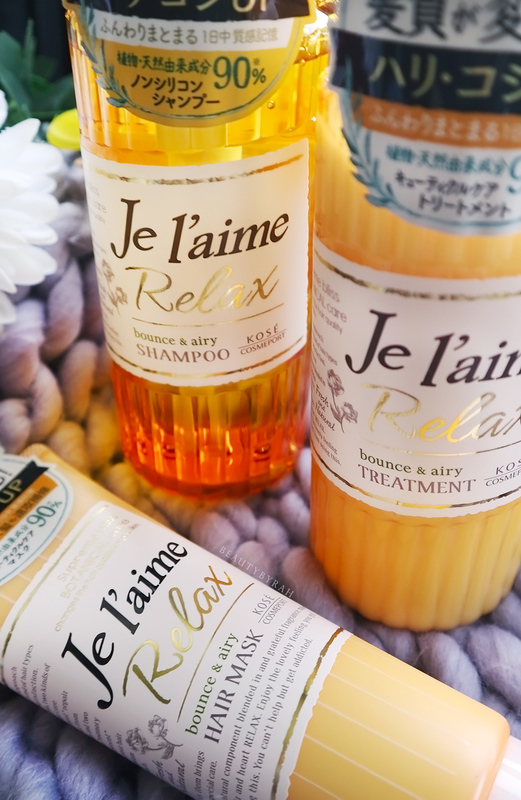 Je l'aime (french for I love it) is a non-silicon hair care brand and these items contain 90% natural ingredients. It is hard to describe the scent, but it smells fruity like those little pre packaged mini jellies I used to eat when I was a child! Honestly, I have not tried the shampoo and treatment (which I believe is conditioner) just yet as I am trying to finish up my previously opened hair products. However, I do really like the hair mask as it is a quick and easy way to tame my hair. Ever since I bleached my hair, it gets tangled really easily and combing it after is a nightmare. On days I feel like treating myself, I would apply the hair mask and leave it for 2-3 minutes before rinsing it off. My hair feels super soft after and combing it is a breeze! Thus, the hair mask gets a huge thumbs up from me. Overall, I am pleased with these items from the various brands under Kosé. 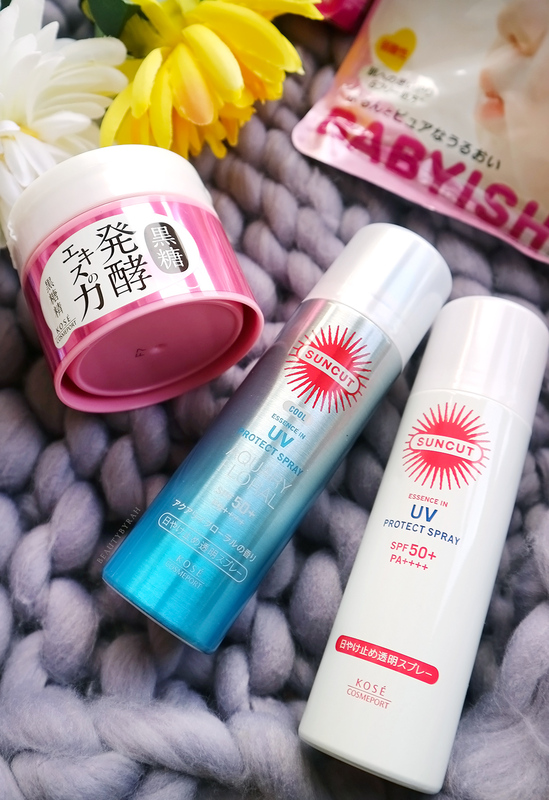 If I would to choose 2 items to recommend, it would be the Suncut UV Spray as it is great for travel and for topping up your sun protection throughout the day even if you have makeup on, and the Softymo Lachesca Hot Gel Cleanser as it is something quite unique and works well. I have barely dipped my toes in Jbeauty waters and would definitely love to try more items out so if you do have any other recommendations, please do share them with me as well. Have you tried anything from the brands under Kosé? ** These items were gifted for review purposes. Opinions are my own.